So first I’m without electricity and Internet at my home in McLean, Virginia, after a jam-packed week last week teaching an intensive one-week course on the history of American foreign policy in the Ashbrook Center’s MAHG program, and then I nipped off to Sofia, Bulgaria, to give a lecture and a full day of small group seminars for a joint program of the business school at the New Bulgaria University and sponsored by the Reform and Union Club of Bulgaria The day-long program went fabulously, but just when I thought I’d start catching up on my big stack of Power Line posts, the wireless Internet at my hotel crashed (I think I might have caused it, but that’s another bandwidth story for another time) and it never did come back on before I got up early in the morning to begin the long flights back stateside. At least the lights are back on here in (most of) the DC area. I’m definitely a fan of what Don Rumsfeld called “New Europe.” Eastern Europeans with still-fresh memories of Communist rule look with just contempt on the decadence and lassitude of western Europe and with well-founded wariness of the creeping centralization and bureaucratic rule of the European Union out of Brussels. The blandishments and economic benefits of European integration outweigh the costs for now, but there is nervousness about the trends. One comes away from these visits with the sense that Europe is in more desperate shape than the financial headlines alone suggest. The problem is that liberty-loving people are isolated from one another, disorganized, and without a plan to fight back against the Brusselcrats. That was part of why I was there. 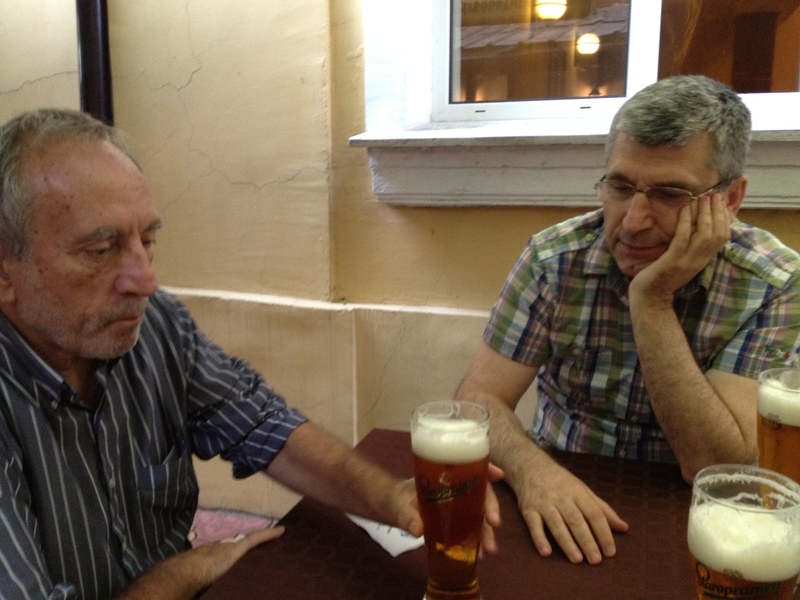 My two hosts from the program, Alex Alexiev (an American of Bulgarian descent) and his colleague Ilian Vassilev couldn’t have been more fun to break bread and pop corks with. And most assuredly we did a fair bit of that. The students at the business school were very impressive. 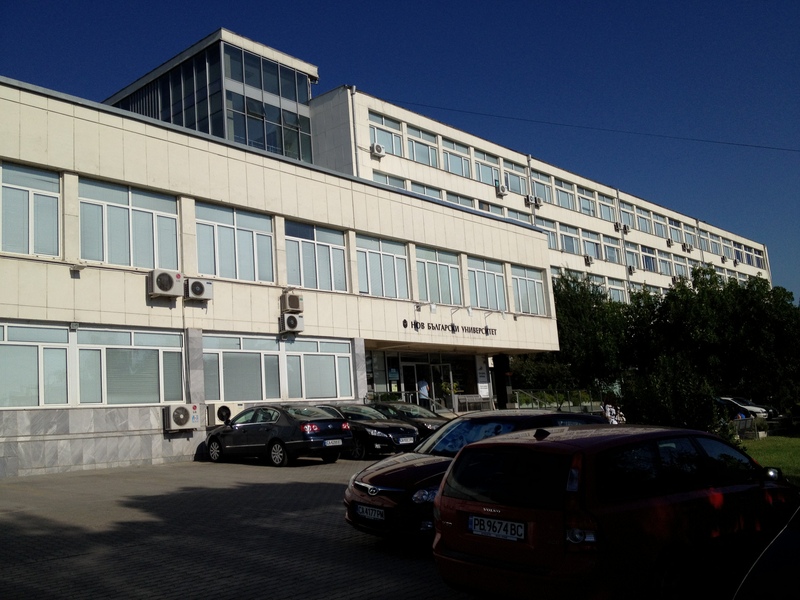 The New Bulgarian University is a private university (Greece, I learned, does not have any private universities–only public ones, which may explain some things. Might be fun for Hillsdale to propose a branch campus in Greece, and watch hilarity ensue.) The NBU is located in an old Communist Party indoctrination building, which is ironically fitting. Driving around Sofia provides a great before-and-after lesson in what the end of the Cold War meant. The old Stalin-era high-rise apartments are still around–too expensive to blow them all up and start over, though that will be necessary in the fullness of time, because these old concrete monstrosities are not rehabable. The post-1990 construction is all colorful and fashionably modern European in style, and the old Viennese-inspired buildings from two- and three-hundred years ago have been spruced up and revovated. But there’s no helping the old Stalin-era architecture. The plan is that this will be the first of many trips I’ll make over there to meet with students and young professionals who want to learn more about how to ensure that their future is one of increasing freedom and prosperity, and doesn’t lapse back into a mediocre version of Cold War-eras bureaucracy–Sovietism with a human face, so to speak. Heck, there may be a Power Line Sofia bureau down the road.